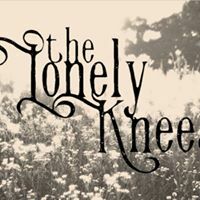 Join us Saturday evening 8-11pm for The Lonely Knees! The Lonely Knees are Dan & Stacie Conway, a husband-wife acoustic duo out of SE Minnesota. Their music selection is wide and eclectic, spanning old-school country, 90’s pop, modern indie, and more. Every song features the Lonely Knees’ unique acoustic-folk flavor, with Dan and Stacie switching between lead and backing vocals, resulting in powerful dynamics and delicate harmonies.